"Would it simply inherit membership or would it have to apply? One source told me privately here [European Commission], there's just no road map in this case." Stephan Fuller, EuroCommish in charge of 'enlargement': "I don't know exactly what is going to happen, so let face it when we come to that." Mas had declared in September that Catalonia, its capital Barcelona, should hold a referendum on "self-determination" even if Spain's central government does not allow it. "First you have to try to hold it according to the law, and if you can't, you hold it anyway. 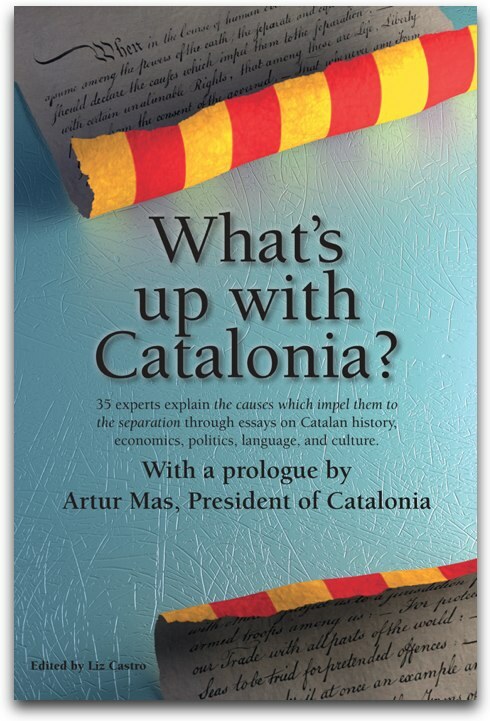 The consultation should take place in any case," Mas told the Catalan regional parliament then. "Mas said he would like to follow the Scottish example and negotiate a referendum with central government, but Rajoy's conservative People's party (PP) government has vowed to use Spain's constitutional court to declare any referendum illegal." "Spanish politicians and commentators are particularly struck by the willingness of the UK Government to facilitate a referendum on Scottish secession"
Javier Nieto Santa, medium business owner: "I don't see any good reason to think that this kind of independence will benefit business. This is clear. All these things began with the new fiscal agreement between Catalonia and Spain which is much needed. Now this is true. But independence is a new territory, there is no plans there. We have a lot of motives to be very sad against Madrid and Spain, unfortunately." Montse Muñoz, small business owner: "Reduce the taxes by half, if that means independence, then independence." "I think they feel they’ve been silently working as the motor of Spain for a long time and have been under-appreciated and criticised again and again. It’s quite understandable they’re saying enough is enough, we can do better on our own. I think they feel they’ve tried to have a dialogue and it hasn’t worked." "it is difficult to see how Brussels can throw the Flemish out of the EU when the EU capital is marooned deep inside Flanders."